Starting a business is very tough and time-consuming and most entrepreneurs would vouch for the fact that it is both physically and psychologically draining experience. Only the most motivated, goal-oriented and passionate people can succeed in their ventures and dare we say most successful entrepreneurs have a high level of Emotional Intelligence/ Quotient (EI / EQ). But what is the relation between business success and EI? 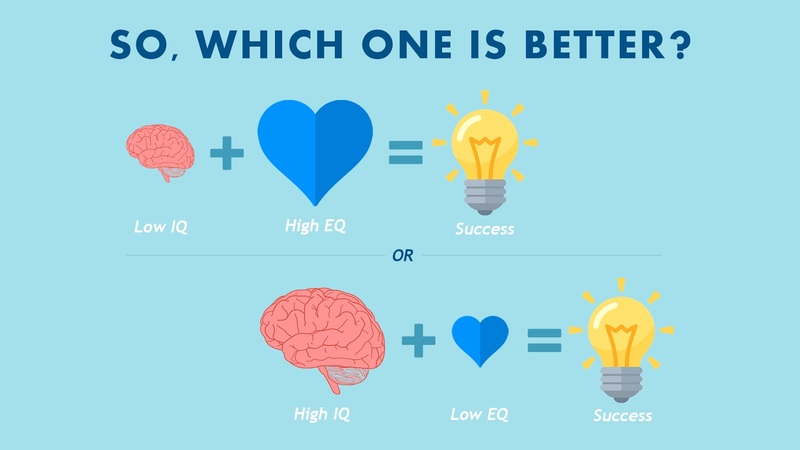 Does a person with higher Intelligent Quotient (IQ) but lower EQ stand a better chance at succeeding in business or will a person with a higher EQ more often than not score over a person with higher IQ but lower EQ. According to Travis Bradberry, co-founder of TalentSmart and author of bestselling book "Emotional Intelligence 2.0"; there is a direct co-relation between EI and success in the workplace. In his research, Bradberry found high emotional intelligence among 90 per cent of top performers, but in only 20 percent of bottom performers. Ø Personal Competence: Self-awareness and self-management skills. It focuses on your ability to be aware of your emotions and manage your own behavior and tendencies. Self Awareness: Recognizing your emotions as they build. Self Management: Using awareness of your emotions to control your behavior. Ø Social competence: Social awareness and relationship management skills. It is your ability to understand other people’s moods, behavior and motives in order to respond effectively and improve the quality of your relationships. Social Awareness: Perceiving others' emotions. Relationship Management: Using awareness of others' emotions to manage interactions. 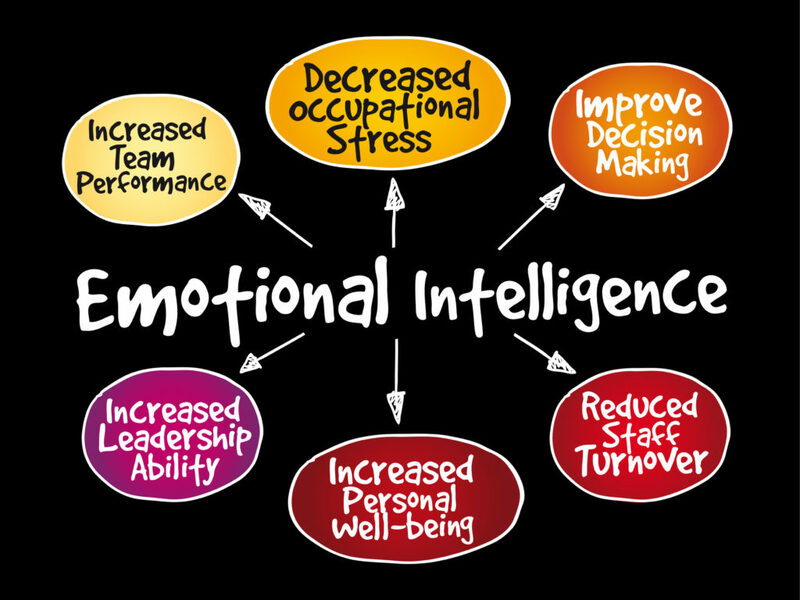 Emotional intelligence means to be sensitive and aware of other people's emotions and having the ability to intuitively facilitate improved performance based on this knowledge. It can help you identify when your team members are burnt out, frustrated or have feelings that could impact their work. It also helps to keep your own emotions in check. EI gives you the most balanced perspective about your course of action thereby leading to higher productivity and better interaction with all the stakeholders. After all, the ability to successfully interact with others is one of the essential factors for the long-term success of your company. Leaders must be able to communicate effectively and step out of their own emotional comfort zone so as to collaborate with others to take their companies on the path of success. The best part about emotional intelligence is that people with low emotional intelligence need not despair. 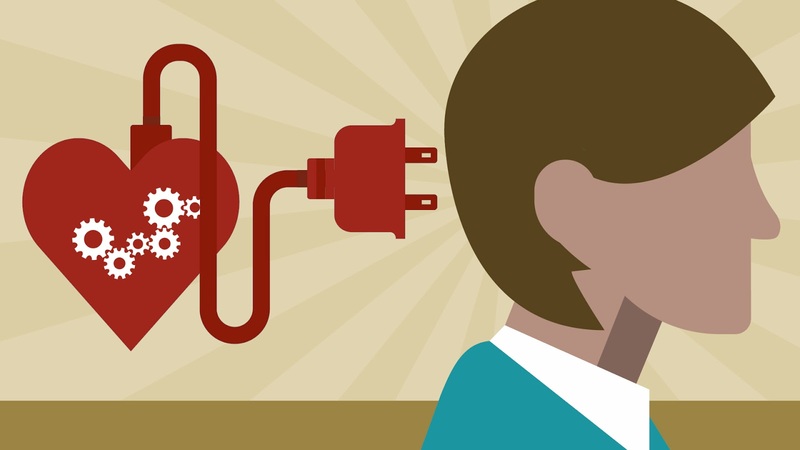 Emotional intelligence can be acquired and improved with practice. Improved EI also leads to better mental health. So EI not only influences your business results, but also impacts your happiness. Business owners must keep in mind that their employees are people, who have their own lives, priorities and emotions which drive their thinking and actions. After all, as an entrepreneur and a business leader you are not responsible just for yourself but are directly responsible for the success of your companies which can only be achieved by driving your employees with empathy and by understanding that your employees are humans first and workers second. No wonder Statistics from Harvard, Stanford, and Carnegie Foundation show that 85–87% of our success is due to emotional intelligence soft skills, and personal skills. Thanks for sharing this blog; I have gotten lot of information about emotional intelligence. Keep posting! !